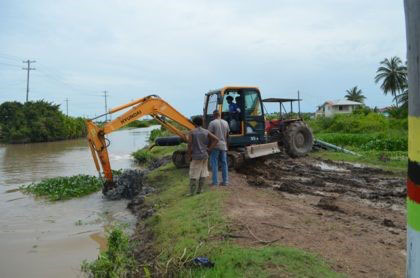 Several Region Five communities are again flooded as a result of heavy rainfall over the past few days, GINA said. The areas include Bushlot, Golden Grove, Lovely Lass, Onverwagt, Trafalgar and Tempe. 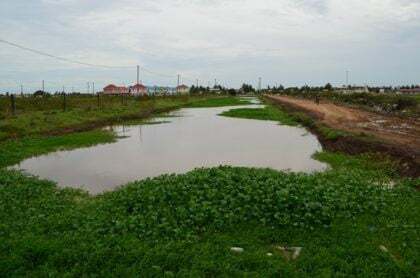 Frederick Flatts, Chief Executive Officer (ag) of the National Drainage and Irrigation Authority (NDIA) told GINA that apart from the rainfall, the measures used to mitigate flooding from water released by farmers previously, exacerbated the situation. 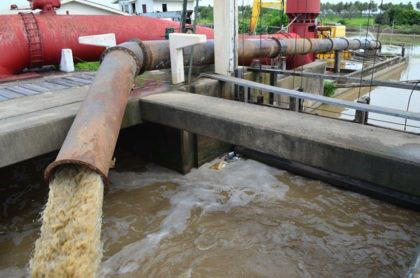 “The farmlands and the residential areas use the same main drain. The last flood, the farmers released water and the water in the main drain was higher than the land in the residential area, resulting in water flowing through the culverts, which have no gates, into the residential area,” Flatts explained. Flatts said the mobilisation and redeployment of additional pumps, and improving drainage are among the efforts to bring relief to the communities currently affected. “I have deployed a pontoon with two excavators to the area. As of today, we have some water passing through the sluice, about 450 gallons per second,” Flatts said. The head of NDIA expects that the water will be drained off the land by tomorrow.